Anyone who has tried to put together an interior design will be aware of the need for effective storage, and while we have tried and tested solutions for clothes and shoes, accessories can be far more difficult to store. Of course, we can simply shove them in a box or drawer, but it’s hardly an elegant solution and it’s certainly not practical, as they can quickly become a mess and prevent you from effectively organising your hair accessories, glasses, makeup and jewellery. Peg boards can be picked up very cheaply from craft stores, office stores or DIY stores, and they’re incredibly versatile and practical. You can easily attach cups, pegs and frames to them, giving you somewhere to store your accessories that makes for both a stylish display and a truly well-organised storage solution. 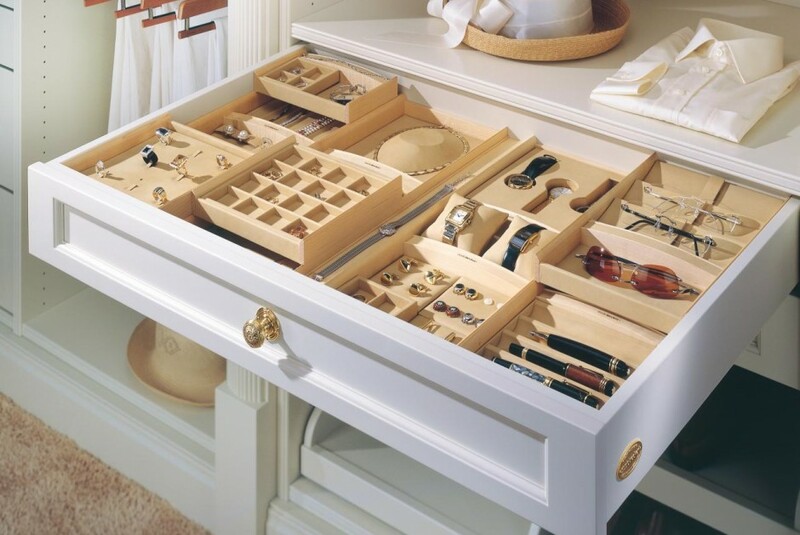 Drawers are an obvious place to store accessories, but it can be tricky to keep them organised and tidied. You can get some drawer trays, but for a much cheaper option, you can use ice-cube trays to fill out the space, giving you numerous handy sections for small pieces of jewellery, hair accessories and anything else you can’t find a place for! You can use curtain rings across a simple coat hanger to beautifully store your scarves. Not only is it cheap and easy to do, but it looks great and will keep your wardrobe extremely well organised! Grab some of your old beer bottles or coke bottles (or any glass bottle you like the shape of), clean them out and you’ve got a ready-made solution to store all your bangles and bracelets! They look great when you’ve got lots of bracelets on them, and they’re easy to store on shelves, vanity tables or in your wardrobe. If you’ve got some PVC pipe lying around, or you can go and grab some from a hardware store, then you’ve got the start of a great shoe storage solution. Cut the pipe up into equal segments (make sure you’re careful with the power tools!) and stack them however you wish. Shoes will fit into them beautifully and if you’re creative with how they’re stacked they can look great in your bedroom.